My pick for today's Tuesday Tunes is a Queens Of The Stone Age song called No One Knows. I like this song for multiple reasons. I think the way lead singer Josh Homme sings it is slightly haunting. It has an infectious beat that gets stuck in your head. The video is crazy but fun. Oh, and Dave Grohl is the drummer in the video. Ya'll know I loves me some Dave Grohl. 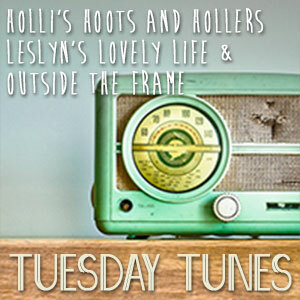 I'm linked up at Tuesday's Tunes over at Leslyn's Lovely Life. Come share a song with us!